MUJHE TO APNO NE LUTA, GERO ME DAM KAHA THA. 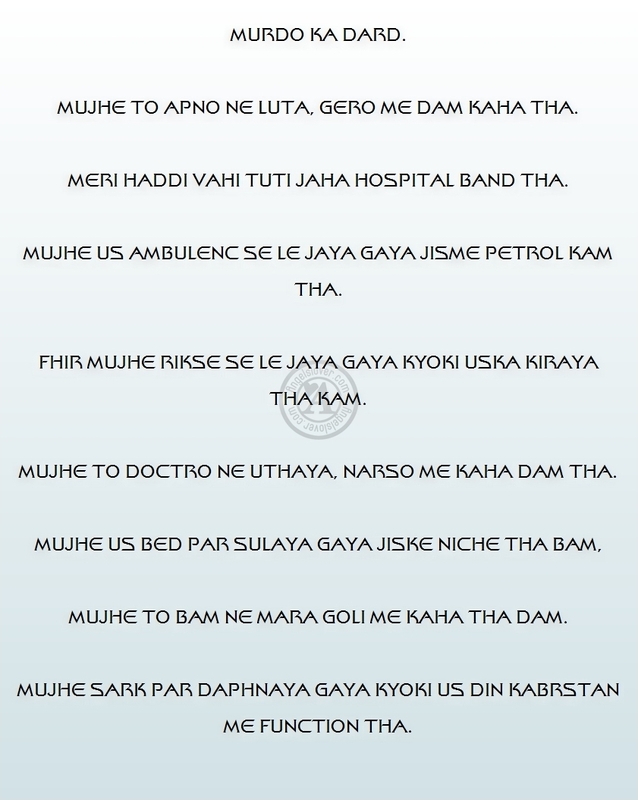 MERI HADDI VAHI TUTI JAHA HOSPITAL BAND THA. MUJHE US AMBULENC SE LE JAYA GAYA JISME PETROL KAM THA. FHIR MUJHE RIKSE SE LE JAYA GAYA KYOKI USKA KIRAYA THA KAM. 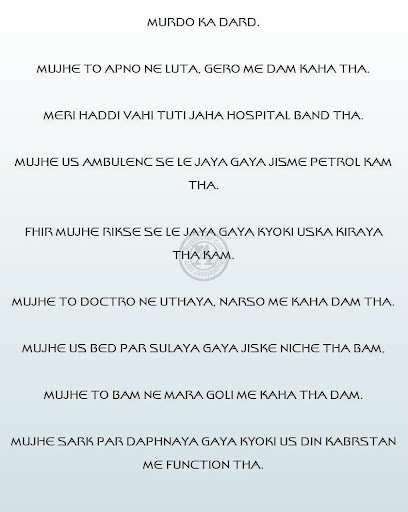 MUJHE TO DOCTRO NE UTHAYA, NARSO ME KAHA DAM THA. MUJHE TO BAM NE MARA GOLI ME KAHA THA DAM. MUJHE SARK PAR DAPHNAYA GAYA KYOKI US DIN KABRSTAN ME FUNCTION THA.